The interim deal to limit Iran's nuclear program casts some uncertainty over how the Justice Department and other agencies investigate alleged sanctions violations. The deal struck over the weekend between Iran and six world powers, including the United States, gives Iran a temporary respite from some of stringent international economic sanctions that U.S. officials say helped bring Iran to the negotiating table. The interim agreement could mean new investigations aren't begun while there is some doubt over details around the easing of sanctions, according to law enforcement officials. Justice Department prosecutors are expected to continue their ongoing cases without interference from political leaders pushing for a long-term agreement. The Justice Department has well over a dozen cases under investigation related to potential Iran sanctions violations, according to law enforcement officials. U.S. officials say any legal violations already under investigation aren't affected by the deal and past violations could still be prosecuted. Justice Department prosecutors brought charges for Iraq sanctions violations years after the United States invaded Iraq in 2003 and dropped sanctions against the deposed Saddam Hussein regime. Several U.S. agencies, ranging from the Justice and Commerce departments to financial regulators, as well as companies that could potentially do business in Iran are now seeking guidance on how to handle the temporary change, officials said. The Treasury Department said ongoing sanctions investigations are not affected and it is working on providing some guidance soon on the terms of the relief the Iran agreement allows. "We will continue to enforce the vast majority of the architecture of our sanctions," a Treasury spokesman said. After 35 years of hostility, the United States has built a complicated regime of sanctions against the Iranian government. Many are governed by the International Emergency Economic Powers Act and others fall under executive orders issued by successive presidents. Sanctions include asset seizures and blacklists targeting dozens of people believed to be associated with Iranian weapons programs. That complication is one reason why the U.S. delegation to Geneva that negotiated the agreement included the nation's top sanctions expert, Adam Szubin, who heads Treasury's Office of Foreign Assets Control. U.S. and European allies in recent years have tightened sanctions, seeking to isolate Iran's energy and financial sectors by restricting exports to support Iran's automotive industry and blocking banks and insurance companies from handling transactions related to Iran's oil exports. Under the agreement, the United States and other nations agreed to temporarily suspend some sanctions affecting Iran's petrochemical and auto industries, meaning insurance companies can now more easily provide coverage for tankers carrying Iranian oil. But companies would be wise to tiptoe into any risky transactions. Boyd Johnson, a former New York federal prosecutor and now partner at Wilmer Hale law firm, says he'd advise companies that "it's too early to change their strategy." Businesses should continue to be vigilant about the major risks in any transactions that could involve Iran, he said. The government, he said, needs to decide what if anything the temporary deal means for businesses. "It would be wrong to let down their guard," Johnson said. Disez moi Longchamp, qu'est-ce que vous declarez au dessus a a ver avec Iran? Je ne vois pas le connection! Ici, on ne parle pas sur le commerce mais la politique de faim! SO WHY THE NEED FOR "NEGOTIATION" WITH IRAN AT THIS POINT. 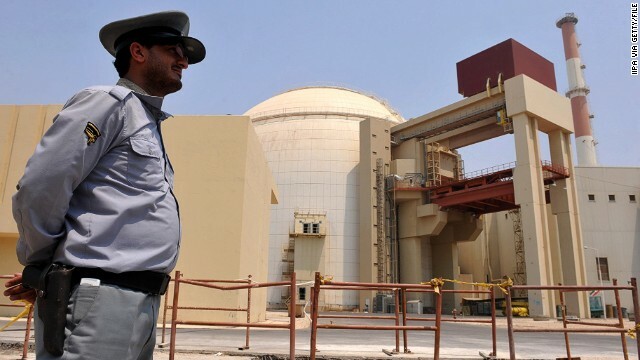 Iran retains its full capacity to enrich uranium, thus abandoning a decade of Western insistence and Security Council resolutions that Iran stop all uranium-enrichment activities. Allowing Iran to continue enriching, and despite modest (indeed, utterly inadequate) measures to prevent it from increasing its enriched-uranium stockpiles and its overall nuclear infrastructure, lays the predicate for Iran fully enjoying its “right” to enrichment in any “final” agreement. Indeed, the interim agreement itself acknowledges that a “comprehensive solution” will “involve a mutually defined enrichment program.” This is not, as the Obama administration leaked before the deal became public, a “compromise” on Iran’s claimed “right” to enrichment. This is abject surrender by the United States. You must not know much about negotiating. We get a 6 month freeze of their program, they get back Iranian $ we have held in frozen accts. for 30+ yrs. Both sides give something, and both sides get something. You seem to subscribe to the TEA/GOP way of negotiations, we tell you want we want, and if you don't give it to us we throw a tantrum and shut down the government and threaten to put USA into default. granny asks: I answer: its about obama...the media reminds us that black men cannot stand being rejected...but that may or may not have anything to do with the intellectual (fal-a-see) of a Obama Presidential Library which is exactly what he working on. Remember: Obama went to a S.F. fundraiser about 12 hours after he gave a speech about Iran in the middle of the night on Satrday when no one watches T.V. The politics of hunger needs to be eliminated once and for all! Not only is it inhumane, it serves no useful purpose whatsoever! It sorely needs to be outlawed at the UN but then again, neither the U.S., the U.K. nor France will abide by such a ruling and persuade their rubber stamp allies not to do so, either! SERIOUS QUESTION: Why didn’t Obama make the release of the Christian Pastor in Iran - Saeed Abedini – a condition for his ‘DEAL’? This pastor has been a prisoner for MONTHS, and the US has done NOTHING to obtain his release. This would have been easy, so WHY DIDN’T Obama act on the behalf of an American citizen?? Is Obama afraid of Iran, or ……… is it just the opposite?? Can't wait to see more China attacks on the US people for more and more and more tax payer dollars. Great! Actually DO something for a change! Sitting around doing nothing (except financing jihadists) will be good for you! Go beat your immigrant labors again to be sure your Rolls Royce is suitably polished to arrive, if invited. And remember, the jihadists you finance today will be your worst nightmare tomorrow! US doesn't care as long as it's belly is filled. It doesn't have any permanent friend or enemy. It gets money from arms deal from Saudi around $30 billion and close to $1 trillion from china and enter this kind of activities w/o regard to its ally like Saudi, Isreal etc. Well put, John. Thank you. You may be right about some of those statements, but keep in mind that the people we fight over there are killing their own people to ensure the region remains unstable thereby demanding an American presence. So remember that when you hear about people being killed by America. They asked for it.